Stock Drive Products/Sterling Instrument (SDP/SI), a leader in providing mechanical based design, engineering, and manufacturing services for critical motion control and small power transmission applications, recently acquired the 3D Systems ProJet MJP 2500 Plus 3D printer. A high-quality printer, the 3D Systems ProJet MJP 2500 Plus uses a liquid polymer that has a variety of material properties and can create parts in three different colors, black, white, and translucent. The new ProJet printer is utilized for orders of individual components, such as a gear or pulley, to more complex drive assemblies. Primarily used for prototypes and low volume production, this machine has the ability to produce high-accuracy components similar to those made with injection molding. "Using the material jetting process, the polymer is dispensed in 32µ/layers (less than a human hair) with an accuracy of +/-.001per inch or better and then UV cured", said SDP/SI Sr. Sales Engineer, Mike Yandolino. This enables the creation of highly accurate drive components, allowing the engineer to assess the design for form, fit, and function before moving into high-volume production. Mike Yandolino continued: "Although a new process for us, we have completed a number of projects with outstanding results. Being able to deliver a component or assembly into the engineer's hand for design review quickly and at a cost savings is a tremendous benefit, resulting in better designs and manufacturability." 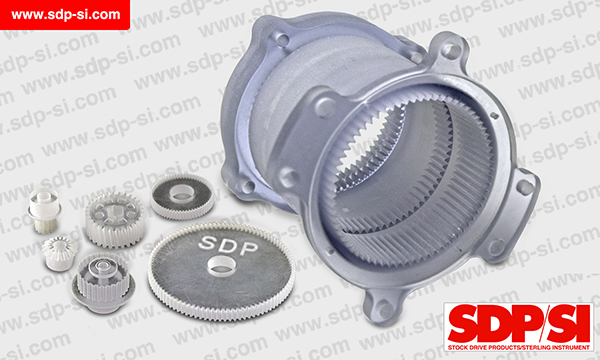 In addition to 3D printing prototypes, SDP/SI manufactures high-quality machined parts, molded components, and precision gearing for a wide variety of product applications in medical, aerospace, defense, robotics, and commercial industries.